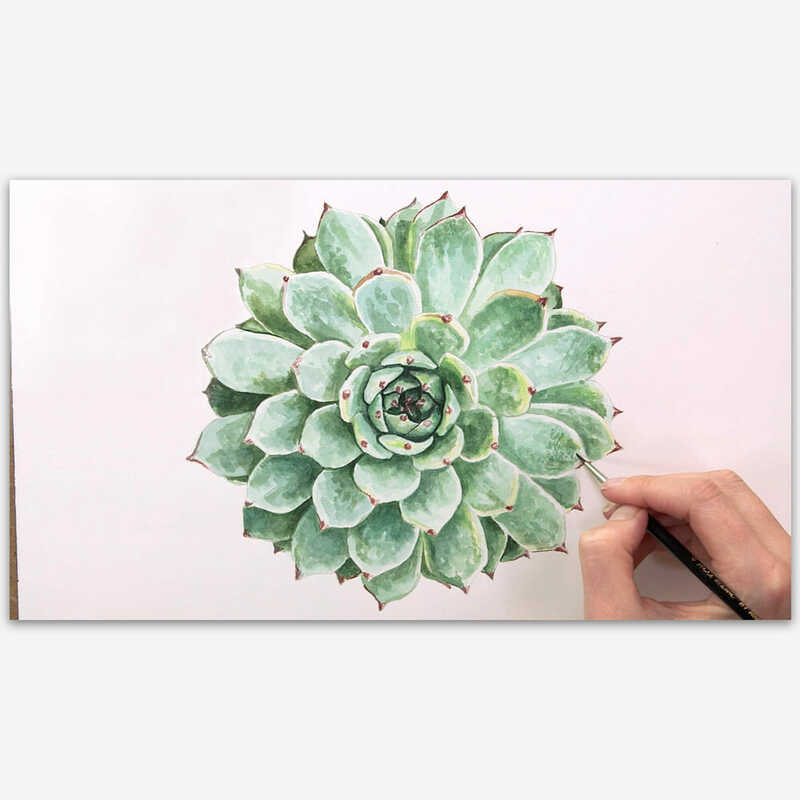 Succulent leaves often have a certain milky bloom-like coating to them. Often students find this a little challenging to tackle. They feel they ought to break out the white paint to add the effect on afterwards. Why not schedule a painting session for this weekend? 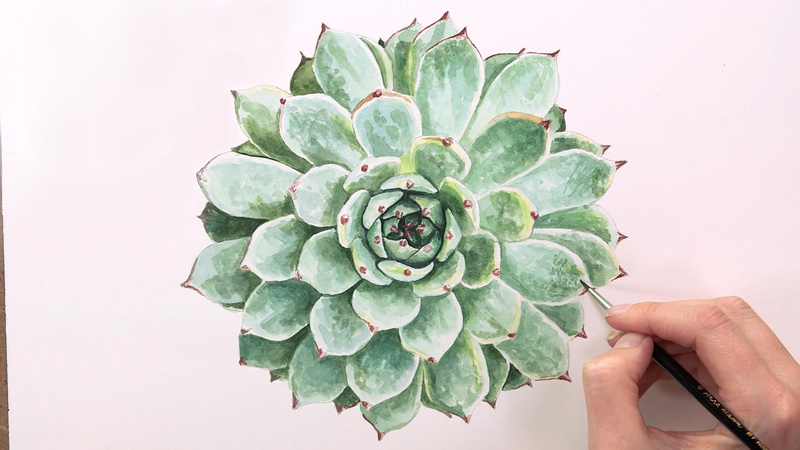 You could try a whole succulent or even just experiment with creating this texture in your sketchbook. Make it happen! Then please let me know about it in the comments below where I’d also love to hear if you’ve struggled with succulents before! Thank You so much. It’s beautiful and so helpful for me. Thank you for your interest ing demo. Hi Anna! Thank you! Your demo is very needed for me! E.
This is a wonderful tutorial. Thank you so much. Brilliant you have the ability to make the most complicated look easy, i must get the watercolour paints out and try again. Thanks for firing up the old enthusiasm again. Thks for sharing Anna! You are extremely talented & because you do such fine work you must have a lot of patience. Thank you for Sharing your beautiful technique of painting with us.